The construction software platform with a reputation that precedes it. There are few IT products in the residential property sector that come onto the market with a successful future already certain. It’s the talk of the industry. 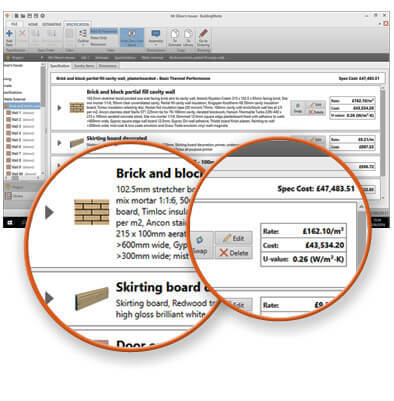 BuildingWorks, a revolutionary new subscription-based software platform, was developed by Integro Construction Software – the sister company of HBXL Building Software. You may well know HBXL as the long-established market leader in one-time purchase construction software for the small to medium sized building firms, and winner of countless awards for both their software products and support service. And even before launch, BuildingWorks is enjoying its own accolades, with a shortlisting for innovation in the National Technology Awards 2017. Followed by a win in the ‘Most cutting-edge construction software platform’ category in the TMT Technology Awards 2017. Which seeks to recognise success in the technology, media and telecoms sectors on a global scale. New build developments, extensions, conversions and refurbishments are a crucial mix in today’s building climate. But the residential construction market is a tough one. Highly competitive and very fast-paced, there’s little opportunity to step back and plan for the future. So working with the University of the West of England, the team at Integro Construction Software set out to help future-proof the working practices of UK building firms and property developers to ensure both growth and stability for years to come. 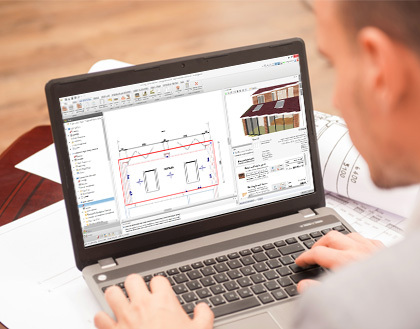 “There are no other truly integrated systems in the UK where you draw (or trace) your construction project using simple CAD tools, and simultaneously watch the estimate build live in real time on screen – building up the cost of the materials, the labour involved, rates, energy performance and much more using pre-populated rates and pricing data. Building Information Modelling (BIM) is big news for the construction industry at large. The software may be aimed at the small to medium sized building firm and developer, but BuildingWorks is likely to be the envy of much larger construction firms. BIM thinking might not be uppermost in our customers’ minds. However, the software handily employs all the practical aspects of BIM and therefore promotes a disciplined working process. BuildingWorks offers effective, holistic process. Project completion before deadline guaranteed! Whilst also ensuring its on budget through the digitization of the construction process. This is essential regardless what the project is; million-pound government project or small site of new homes. Lamine Mahdjoubi, Professor of the Built Environment in the Department of Architectur e and the Built Environment at the University of West of England, believes that the software has a valuable role to play,. He suggests that “BuildingWorks is likely to contribute to SME’s uptake of BIM.” So watch this space! And returning to the materials used to create the estimate, Joanna explains: “BuildingWorks comes ready to go with a huge database of building rates plus REAL materials and objects with rich manufacturer product data including price, size, appearance, waste, thermal properties and more to help define the projects specification, unlike any other product on the market. And the information culminates in a 3D model, a full Bill of Quantities (New Rules of Measurement) and detailed costings. The project management qualities of BuildingWorks are equally exciting. All modules ensure ful-integration, making workflow seamless and easy. It eliminates errors, whilst saving plenty of time. The subscription based option is just an added bonus for cash-flow conscious building firms. The first modules to be released are Design and Estimate. 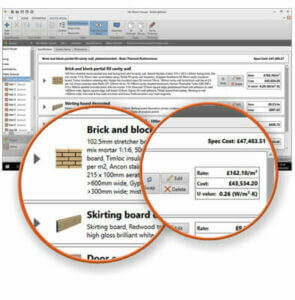 Then Integro Construction Software will release modules. This will include Energy performance evaluation, Project management, health and safety (CDM 2015 compliant) and building contracts. For more information, give us a call on 0117 916 788. You can also take a look round the website at the features that will transform construction firms. 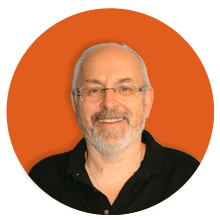 Alternatively you can put the software through its paces with a 30-day trial!